Numens is pleased to announce the release of a new manual call point that uses a wireless transmission path. 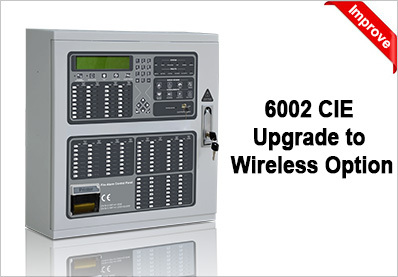 The 660 wireless MCP is suitable for connection to wireless detection zones, and is compatible with the popular 6002 addressable control and indicating equipment. 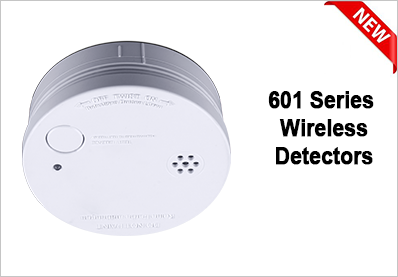 The 660 wireless MCP adds to the range of wireless detectors and includes a long-life lithium-ion battery. The antenna is internal to prevent damage. A pressure-activated displacement element provides a safe and convenient way for building occupants to manually initiate a fire alarm condition. The MCP has an integral alarm indicator that illuminates when the manual call point has been activated. The indicator can also be configured to flash when polled by the CIE.
Numens is pleased to announce the release of a pull station for non-addressable fire detection and alarm systems. 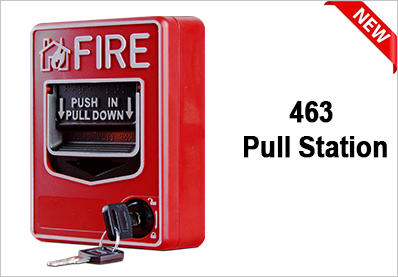 The 463 pull station is used to manually initiate a fire alarm signal to control and indicating equipment. The 463 pull station will be familiar to customers with experience in selling and installing US NFPA equipment. Alarm signaling is achieved by pushing in the displacement element and pulling the operating handle downwards until it latches, providing a safe and convenient way for building occupants to manually initiate a fire alarm condition. Resetting the pull station is achieved by inserting a key to reset the displacement element plate, causing the operating handle to return to the quiescent position. Numens is pleased to announce the release of a series of smoke, smoke/heat and heat detector for connection to the wireless detection zones available on our popular 6002 multi‑loop analogue addressable control and indicating equipment. Up to 32 detectors can connect to a wireless node.The distance between the node and the connected devices is up to 500 m, providing excellent floor-space coverage. The radio uses 24 selectable channels, ensuring that radio interference from other sources does not interfere with the correct operation of the fire detection and alarm system. Both the smoke/heat detector and heat detector include an integrated alarm sounder. Detectors have an internal antenna to minimize the risk of damage and to maintain the visual appearance of the products. Detectors are powered by a long-life lithium-ion battery, providing up to 5 years of operation. 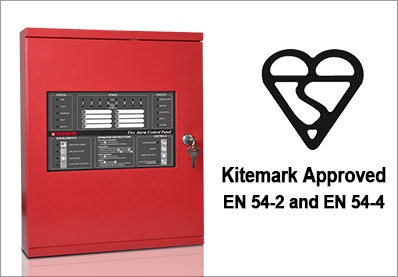 Numens is pleased to announce completion of BSI approval of our popular 4003 non-addressable control and indicating equipment to both EN 54-2 and EN 54-4. 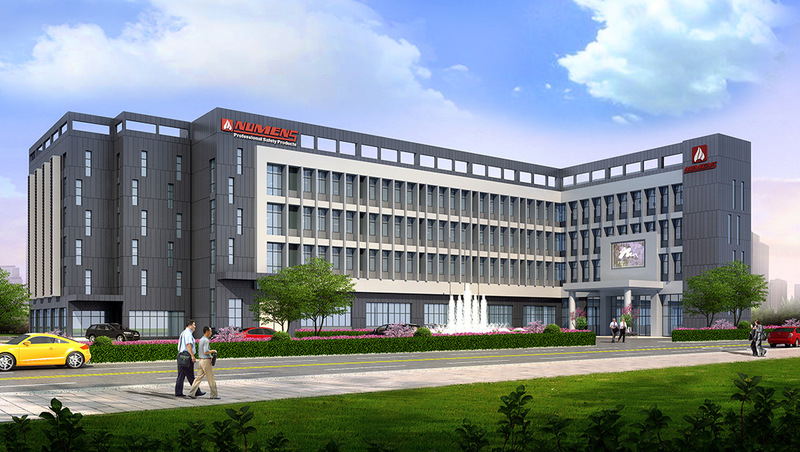 The range of 4003 CIE includes 2, 4 and 8 detection zone equipment. A revised layout of the user interface improves the intuitive operation of the 4003 CIE.
Numens is pleased to announce that wireless detection zones are now available for our popular 6002 multi‑loop analogue addressable control and indicating equipment. A wireless node, connected to the loop, receives events from wireless devices paired to the node.The wireless node is integrated within an addressable manual call point (660-002), allowing up to 62 nodes to be connected to each loop. The distance between the node and the connected devices is up to 500 m, providing excellent floor-space coverage. The radio uses 24 selectable channels, ensuring that radio interference from other sources does not interfere with the correct operation of the fire detection and alarm system. The smoke detector (601-002) launched as part of this initial release includes an integrated alarm sounder. The detector is powered by a long-life lithium-ion battery, providing up to 5 years of operation. Both the wireless node and the wireless devices have internal antennae to minimize damage and maintain the visual appearance of the products. Numens is pleased to announce the extension of the range of 402 gas alarms. The range now includes two new devices with remote LED output terminals. The new gas alarms are also compatible with Numens 2-wire non-addressable control and indicating equipment. 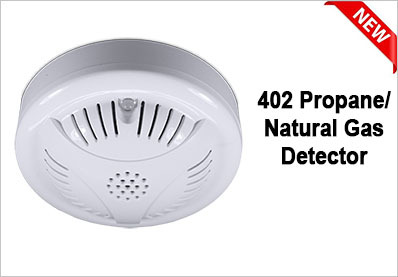 The 402 range of devices detect either propane gas (LPG) or natural gas. The new models add to the range of 2-wire and 4-wire detectors in the 402 family. All gas alarms include an internal sounder to provide additional occupant warning. The 402 gas alarm range provides fire detection and alarm system designers with a Standards-compliant, economical gas detector for life safety and property protection applications. We are pleased to announce the release of the 484 relay base. 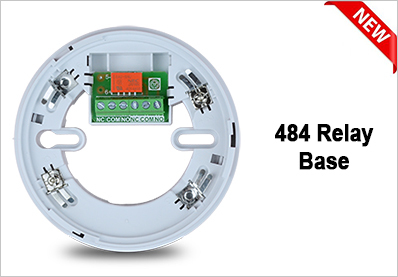 The 484 relay base provides additional voltage-free relay output contacts when the detector enters the Alarm condition. The 484 is available with either a single-pole, double-throw (SPDT) relay output, or a double-pole, double-throw (DPDT) relay output. 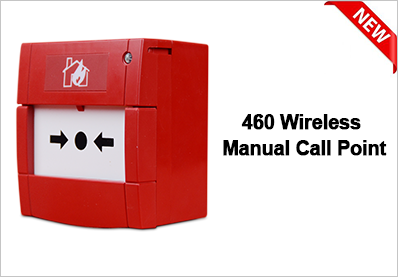 Both variants are compatible with 4-wire fire detection and alarm systems. Numens is pleased to announce the release of a 32-zone indicator card for the 6002 control and indicating equipment. The 6002 32-zone indicator card is fitted to the inside of the door of the 6002 control and indicating equipment. It is configured to display Alarm Conditions and Fault/Disabled/Test conditions for 96 detection zones, in groups of 32 zones.